5 Tips to Take Beautiful Pictures while Running | JustRunLah! I have never been a fan of running in a gym on a treadmill. Why will you want to stare at the same landscape (or a video drama) for a hour or so, when there are tons of beautiful places around the world to experience and enjoy while out on the streets? One of the key differentiating factor between SG Unfit Runners and other running blogs is the sheer number of pictures taken along the running route, to help runners have a better idea the kind of landscape that they will encounter during the run. 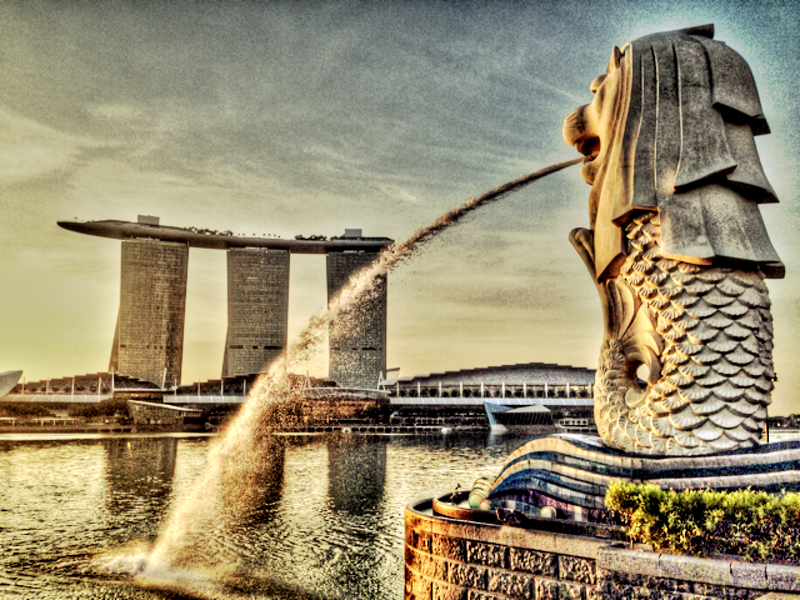 I have often been asked how I take such beautiful pictures of Singapore while running. Here are the 5 tips to take beautiful pictures while running. There is no way that you can enjoy the scenery or even think of taking photos if you are struggling to put one foot in front of another. I often take the fewest numbers of pictures when I tried to embark on a run that pushes me past my normal distance limit and I am often too tired to take any pictures at the last leg of the run. You must be able to run in a relax pace while scanning the environment around you and every now and then, you will be thinking, “Wow, this scene will make a perfect picture” and your instinct will normally be correct. Many runners pay too much attention to their pace and their timing that they failed to enjoy the beautiful scenery around them. Runners who are trying to improve their timings are also often running at their optimal speed and probably will not have the spare energy to think of picture composition while running. If you want to take beautiful photographs, you will need to stop, position and snap. Sometimes I even had to back peddle or lie down in order to get the optimal shot. There is no way to take sharp pictures using a typical camera phone while on a move, so standing still for at least 30 seconds is essential. Once you get the hang of taking photos while running, your pace will barely be affected after a while. 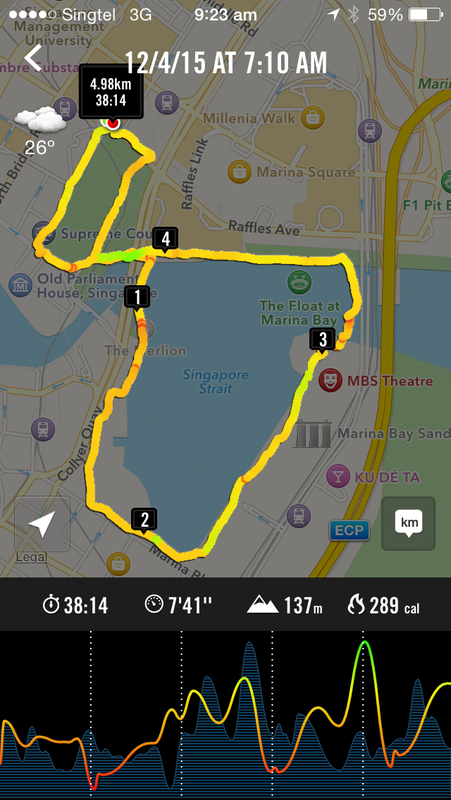 My average pace for a run is around 7:20 mins/km and looking at my running map, you can see that I paused to take pictures at a number of occasion and my pace is still decent at 7:40 mins/km. 20 secs per km is a pretty decent trade-off for the beautiful pictures I get to snap. Every expert photographer will tell you that the best time to take photos is during dusk and dawn. 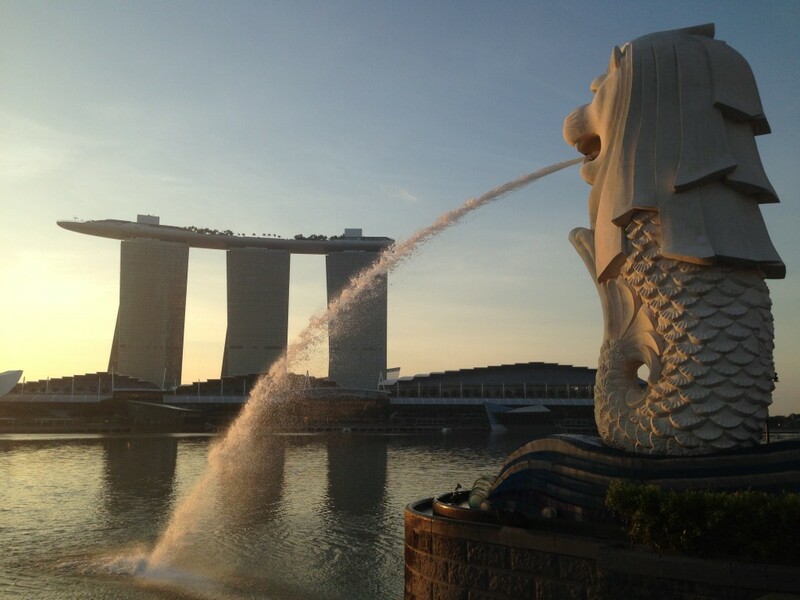 In Singapore, this works out to be around 7am and 630pm. The skies will have a myriad colors and shades with the soft sunlight giving a glow to everything it touches. 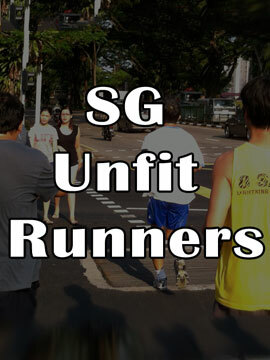 That is the reason why SG Unfit Runners gather at 7am every Saturday or Sunday to run. 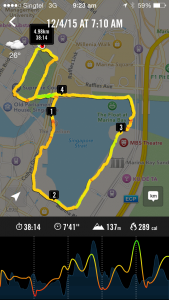 Running after 8am will increase the risk of runners getting heat problems, especially in tropical Singapore and running in the evening will simply kill our camera phones which cannot handle low light conditions. I personally uses iPhone 5 and I try to avoid using bigger sized phone. Reason being, the phone must be easy to handle as you whip the phone out from your pocket/pouch/belt like a professional gun slinger using minimal amount of time… and not dropping your phone. A bigger phone often requires two hands to take a picture and the bigger size also increases the probability of dropping your phone. A good rubber casing for the phone is also important as your palm will get very wet during the run, and the rubber will enhance your grip when your palm becomes slick and slippery due to the sweat. With the introduction of camera mounted smart watches, these problems might go away but the camera quality on these watches are still inferior to the camera phones. These days, I often plan a morning runs in all of my overseas trip and to my delight, some of the best pictures I took were during those runs using my relatively inferior camera phone as compared to the rest of my professional photographic equipment. There is a saying that “running clears your mind” and I realize that a clear mind will often result you being to appreciate the small nuances of the environment around you better. That is when the best photos are taken. 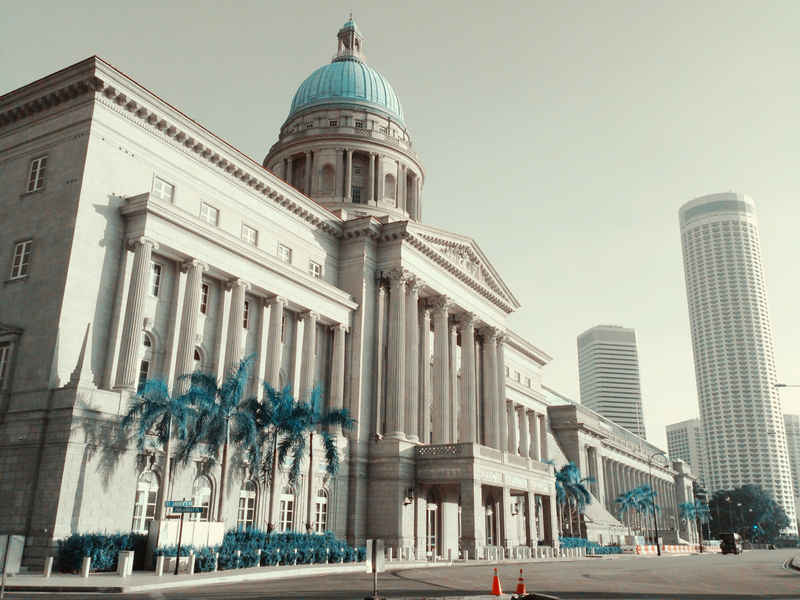 Try it and you will be pleasantly surprised by the quality of pictures that you can take. Sad to say, we have gotten pretty fit over the course of running regularly. We will need to recruit more unfit people into our small running group. Haha.